As Santa finished his last delivery, Joseph and I went right back to work to prepare for a very exciting opportunity. 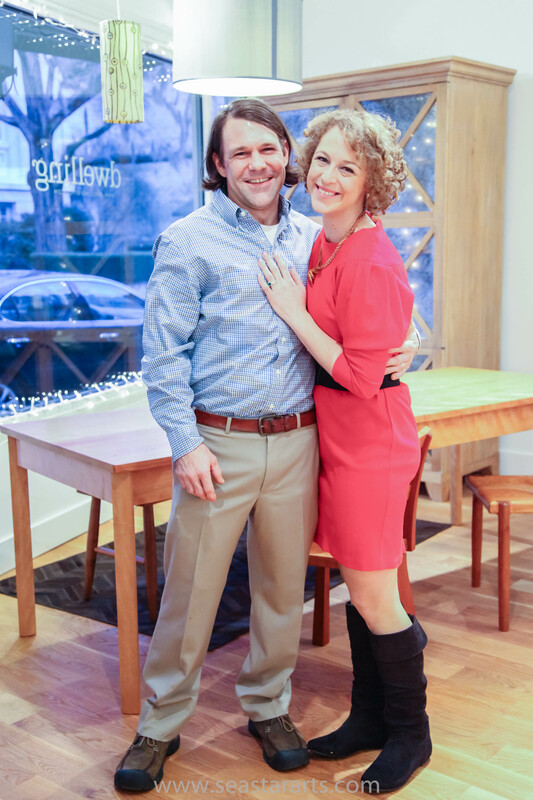 The lovely Leigh and Tim McAlpin of Charleston, SC’s leading eco-friendly design and furniture store Dwelling chose Joseph Thompson Woodworks and Black Swamp to open their new LOCAL Maker’s Series, featuring the work of talented local furniture makers. 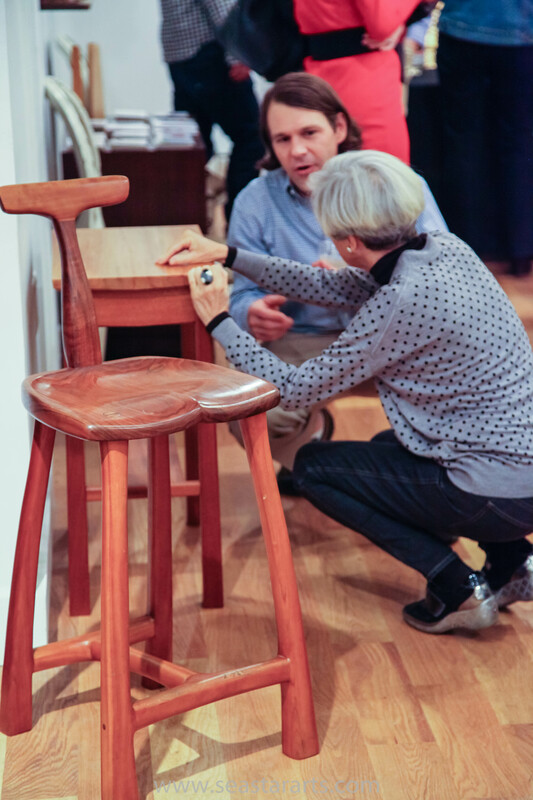 We were so thrilled to kick of 2014 with an exhibition in our hometown. 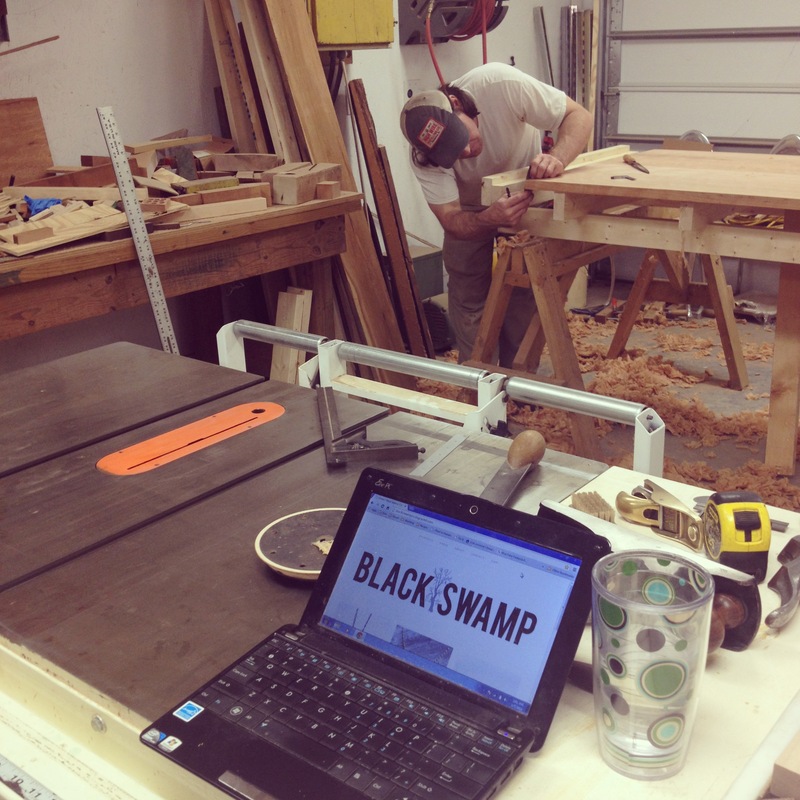 Since we wanted to give our friends and family the best we had to offer, there were many a late night spent in preparation, especially after we had not one, but TWO boards for table tops blow up in the planer during construction. 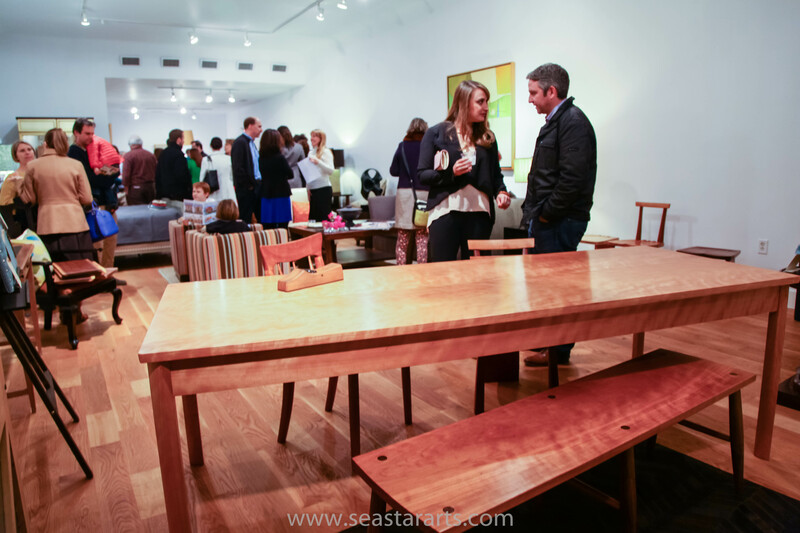 Once the dust had settled, the show opened beautifully and we were happy to celebrate with our friends and family. 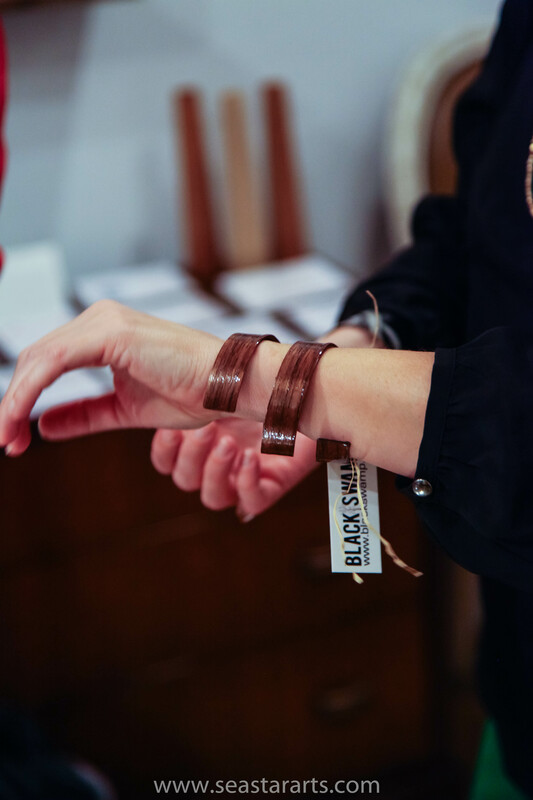 New Black Swamp cuff bracelets and necklace styles were launched to a very positive reception. 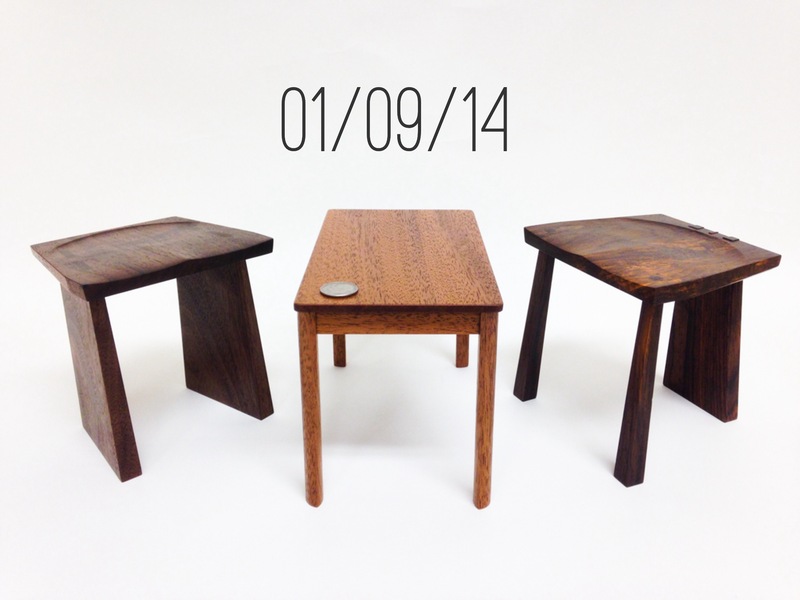 This piece features local South Carolina Black Walnut wood. 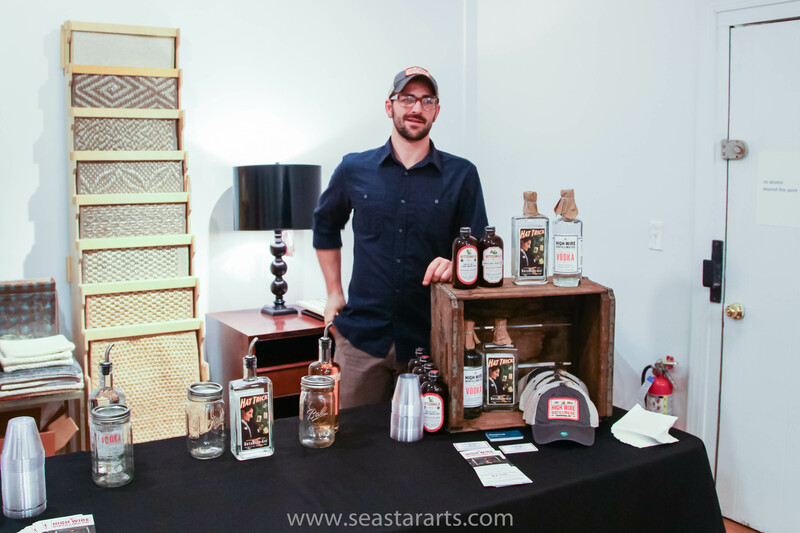 Charleston’s new High Wire Distillery provided their delicious locally crafted spirits, making the event a fully local event. 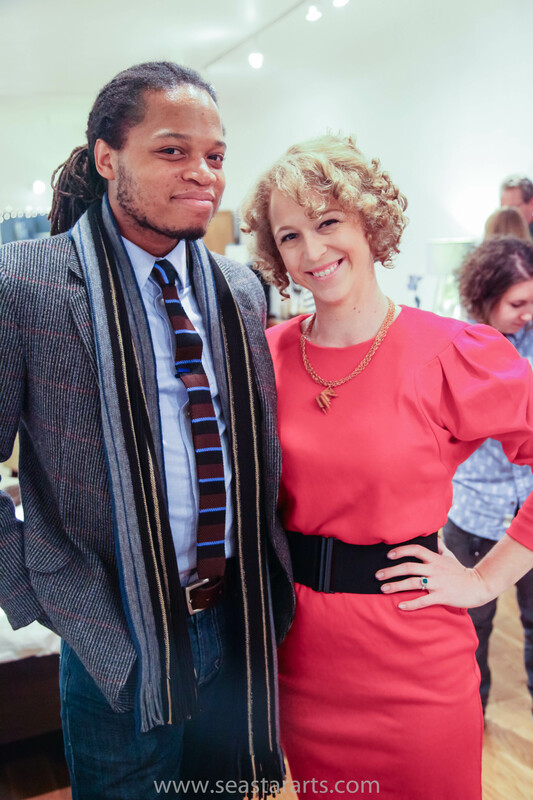 A few more of my favorite snaps from the opening….. 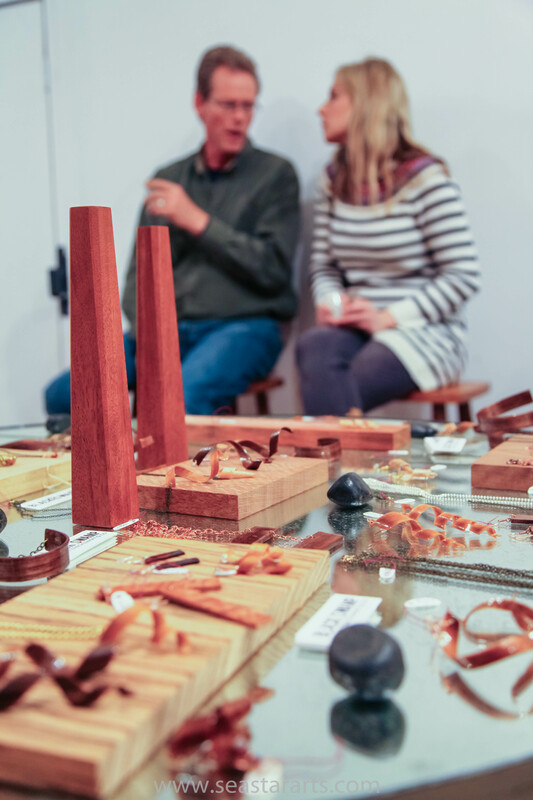 Thanks to the talented Jeni Becker of Sea Star Arts Photography for the wonderful photos, see more snaps from the party here. 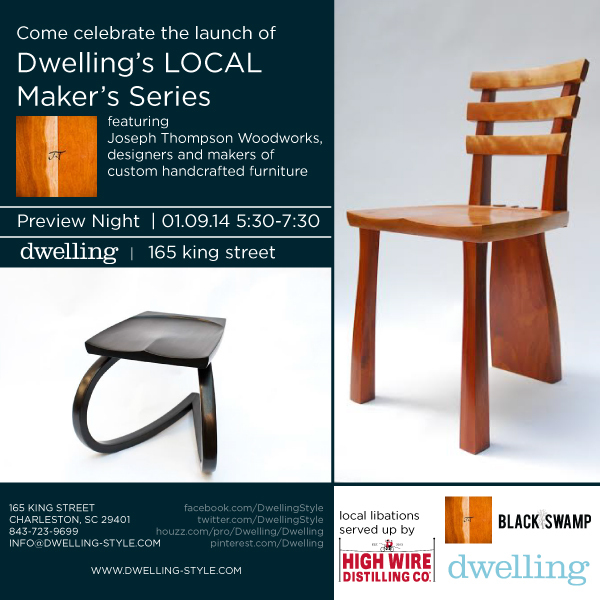 Thanks also to High Wire Distilling, Dodeline Design, and of course, Leigh and Tim McAlpin of Dwelling for hosting us. 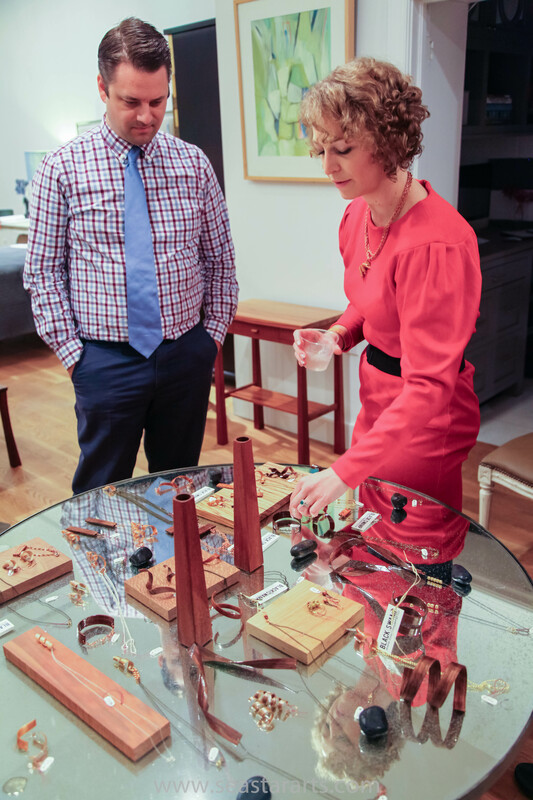 In addition to the opening, we also held a “Meet the Maker” session at Charleston’s first Second Sunday on King for the new year. It was a beautiful day and I loved meeting new people and seeing some old friends, too. 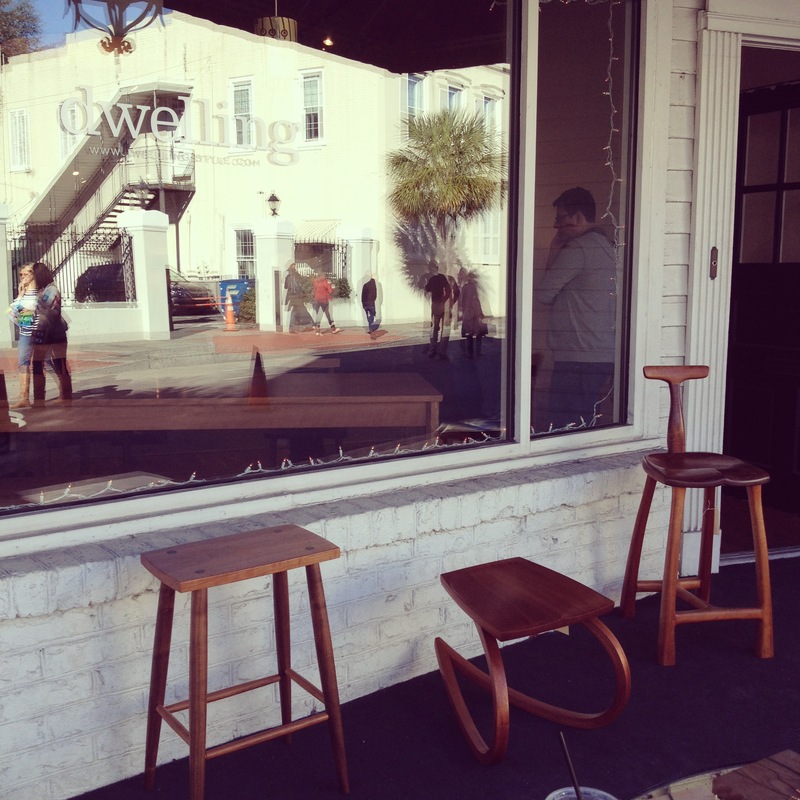 The show will be on view at Dwelling until Sunday, February 9th, which will close with another “Meet the Makers” session from 12 p.m. – 5 p.m. Dwelling is located at 165 King St, Charleston, SC. 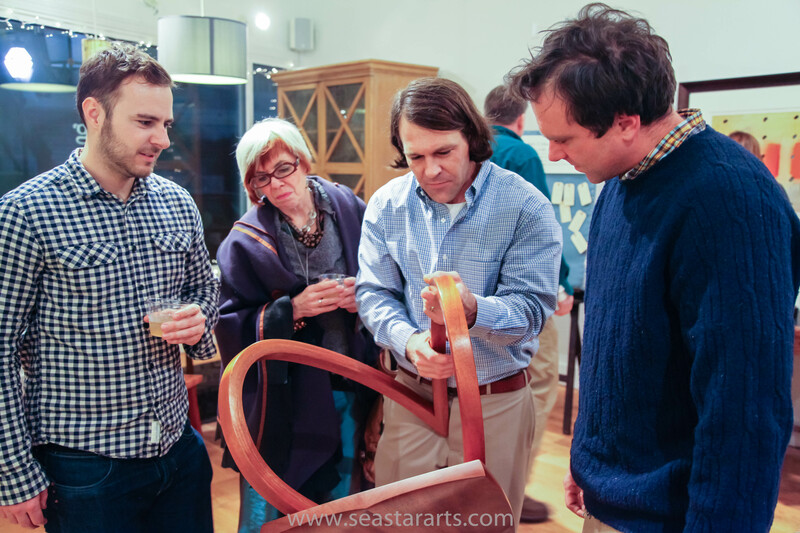 Check out some wonderful press the show has received from the Charleston City Paper, The Scout Guide, Post & Courier, and Design Feast’s Design Feaster. Thank you to all of our friends, family, fans, collaborators, and everyone who had even the smallest part in making this show possible. We have been overwhelmed with the support from our hometown, we are so grateful and blessed to have such love in our lives.